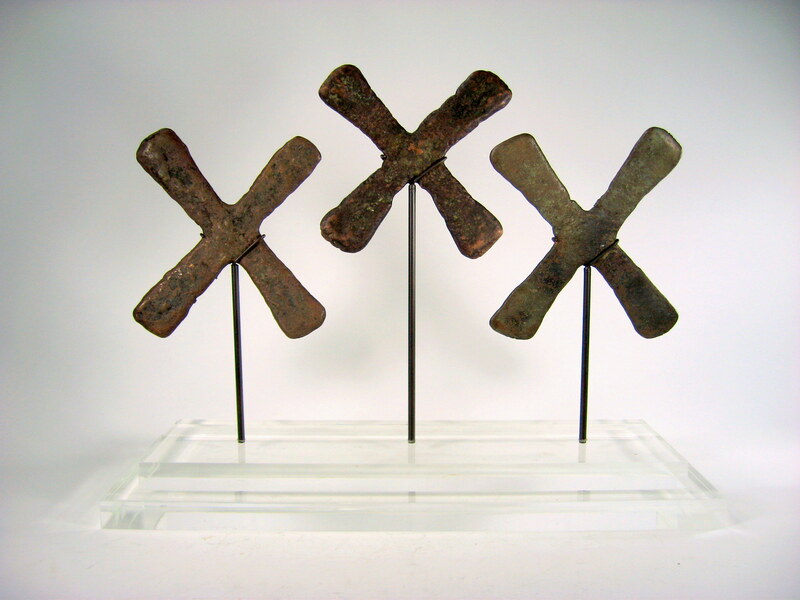 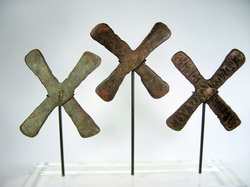 Made from a solid deep red indigenous African copper, these cross forms were used as currency throughout central Africa. 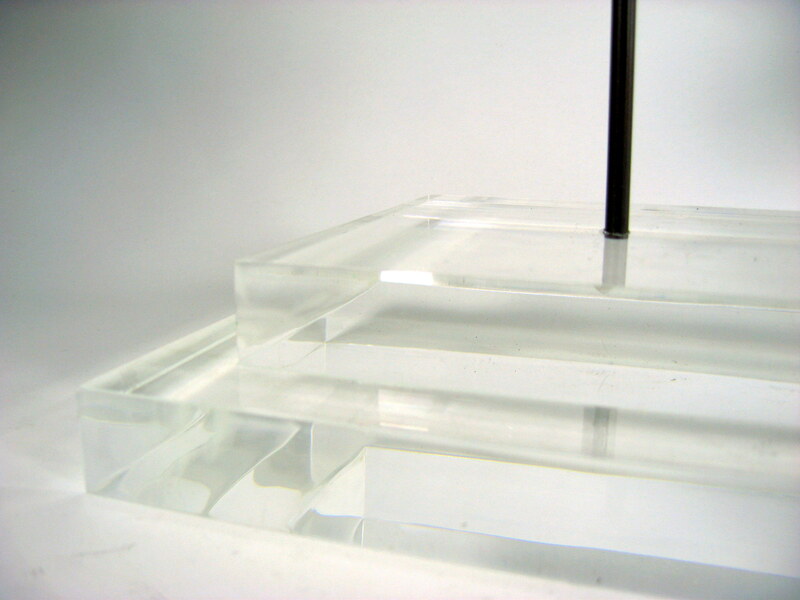 What a stylish simple abstract sculpture the three make when mounted on this custom acrylic stand. 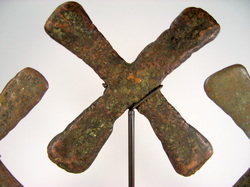 L 20" x D 7.5" x H 15.5"